We are witnessing two different strategies by Flo / Zidane this summer. We haven't really heard of any activity on any of these and meanwhile the suggested targets are being pursued by others with Kramer already signed. Could it be that team is awaiting outcome of dreams before pursuing the backup positions? Returning loans plus buy backs (Morata) could be backup answers (i.e. Diego Llorente, Coentrao and Morata). b. The dream list of Lewandowski, Alaba, Pogba. These were explained as dream list that would improve club (I interpreted this as the incumbent would have to go, but this may not be the case) and would be pursued if they would get some understanding with selling club that they could be obtained for a reasonable amount. Even though there has been very public rejection from Bayern on the first two, the club still has met with Bayern and the players (or agents). Meanwhile there are rumours of Bayern eyeing possible replacements if they did leave and today another rumour that Lewandowski wants Madrid to make him highest paid CF. Bottom line is although these are just "dreams", club is still feeling them out. Alaba apparently is thought of as a DM more so that a LB! Meanwhile, every indication is there are already negotiations over Pogba, so that dream may becoming a reality. 2. The second strategy is for future years and perhaps necessary if the sanction ban comes into effect. Seems the club is impressed with the "on loan or buyback" route rather than promoting canteras to 1st team and then have them ride the bench. They are impressed with the results in the cases of Carvajal, Lucas, Casemiro and possibly Morata. So the first thing we are seeing is Zidane has suggested it may be best to loan out Kovacic, Nacho and Jese to allow them to play regularly and further develop them. Both Kova and Nacho are close to loan deals, Nacho with Roma and Kova with either Roma or Juve. Meanwhile they are in conversations with Espanyol re Jese. The thought process as I understand it is to fill Nacho's spot with either Diego Llorente or there are a few outsiders that they are taking a look at. Morata is not only a possibility re backup CF, but there are reports now that Zidane is saying he would like Morata back in the Jese vacated roster spot! Not only these three guys out on loans, but also with Diego Llorente, Vallejo (him they are trying to move him to a 1st division team as Zaragoza remains in Adelante), Medran, Lucas Silva, they are trying to establish new loans. The theory or strategy is these players have a better chance at developing plus they can be brought back even in a signing ban. They are selling the players that are deemed not good enough. Yesterday they sold Denis (for 10M) to Villareal, a Burgui deal is in progress with Betis and they are looking at Raul de Tomas, Hermosa and Mascarell. In addition, they are thinking of loaning Mayoral to Oviedo (Hierro the new coach has requested this). This allows Majoral to move up a level (to Adelante) to continue his development. Marianno is going to ? (I think it is a Portuguese club, but this may be a sale not a loan) and Odeguaard will stay with Castilla in 2B. How is the progress of Lucas Silva ? I don't think he had a good year. But, he can't return to big team unless James is sold. We are allowed only 3 non EU players and Navas, Casemiro, James take up that allocation. Lucas Silva was pathetic at Marseille... horrible. Has the ex director of football of sevilla monchi joined any club? Monchi decided to stay put for one more year... he was considering going to PSG with Emery but decided against it. My guess is that he ends up at PSG next year. He would be given full powers, something he will never get at Madrid. Besides, being a great president for an underdog team is far far different than being one for an elite one. I'm not sure his success at Sevilla translates. He made a career of recovering failed players. I want to defend Flo to a certain extent. He has already shown this summer that he is listening to Zidane. For example Flo was determined to have the national team portero as his GK, yet with Zidane saying he was more than comfortable with Navas / Kiko. It has been said that he will insist on buying the next galactico yet if you follow what Zidane said initially, the pursuit of Pogba is Zidane's request not Flo's. Let's examine more closely what Zidane said. He said he liked current squad (everyone of them) and it only needed a second alternative at CF, LB and DM. Then he said he had his dream players (Pogba, Lewandowski and Alaba) that would improve team overall, but that they would only be pursued if the existing club (Juve and Bayern) would be receptive to a reasonable negotiation. and then finally he has said some reserve players (specifically Kova, Nacho and Jese) would be better served to go out on loan playing as a starter to have more opportunity to develop their game. Nacho has lost out on a NT selection because of lack of playing time. Now if you have followed all of the rumours, stories out there, all are related to Zidane's statements / requests. None of it shows any signs that Flo is doing his own thing. We have Morata back as that reserve CF, actually with Jese going out on loan, Zidane has reportedly said Morata will see plenty of action as he can play in any of the BBC spots. We haven't heard of any movement so far for a second left lateral, but that is likely because they are still talking about Alaba who reportedly could play both LB and DM, the two spots, Zidane wanted coverage on. 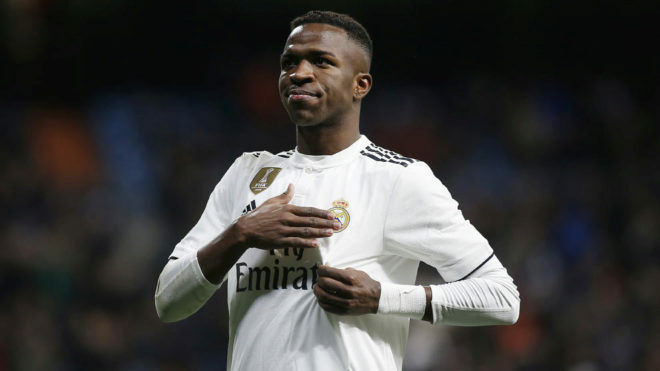 The names we have heard are Rodriquez and Wendell plus there is the possibility of putting Coentrao who has returned from loan back on squad. Similiarly, we haven't heard of any movement for a DM, but that delay is likely due to the Alaba possibility, however remote plus the whole Pogba and maybe Kante pursuits. As to filling the spots left open if Nacho, Kova and Jese go out on loan, they have Diego Llorente available for Nacho's spot, plus I heard at least 2 other alternatives for a 4 CB. For Jese, it's Morata, although numbers wise, they could add another forward as it looks like only Morata and Lucas. And for Kova, so much depends on who they actually get in Pogba, Kante, etc, whether or not Kroos remains with team and does someone make a reasonable offer for James. The only name mentioned has been Asensio, but I suspect he will go out on another loan. i.e not much difference in his situation than Jese in terms of finishing development. And finally the case of Varane. Zidane supposedly was meeting with him this week to advise him of why he should stay. So bottom line, although it is painfully slow, mainly due to Euros, we can see that the entire off season strategy has been Zidane with the outcome mainly dependent upon if one of Zidane's dreams can become a reality. The secondary issue this summer was about the possible transfer ban. Flo seems remarkably calm about this, but the strategy seems to be that if it happens the squad being assembled for this season will be good enough for two years plus we have a lot of talent being developed on loans (plus a couple in-house) that can be recalled under any ban if the need is there. I think that Zidane and Flo discuss ideas and then figure out different plans of execution. I don't think Zidane is getting 100% what he wants and neither is Flo. That's fine. That's the nature of making good decisions in a board room. I am certain (wink wink) that the plan isn't a static one. Namely, there isn't just one target for each position or one plan. There are a multitude of players and a multitude of plans that have been discussed and ranked. Based on timing, Madrid moves from a preferred plan to the next one because the last thing they want is to be forced into a corner. So what exactly am I saying... I'm saying that there is a set timeframe for the Alaba, Pogba, Lewa, etc. targets to get done. If they don't get done within the delays, Madrid will move on immediately so that there is time to execute alternate strategies. I agree Sports. But our fear at the onset was Flo wouldn't listen to anyone and just pursue the marketing signings. So that fact that they have a plan or plans and is consistent with filling holes, solving weaknesses and making a effort towards dreams if it can improve team is nothing but good news IMO. Plus the obvious plans re future even if signing ban comes into efect. Has there been any talk of extending any of them? I only heard of Pepe, Isco and Jese. Until there are alternatives to BBC, they will get extended. As of right now, there are no viable alternatives.